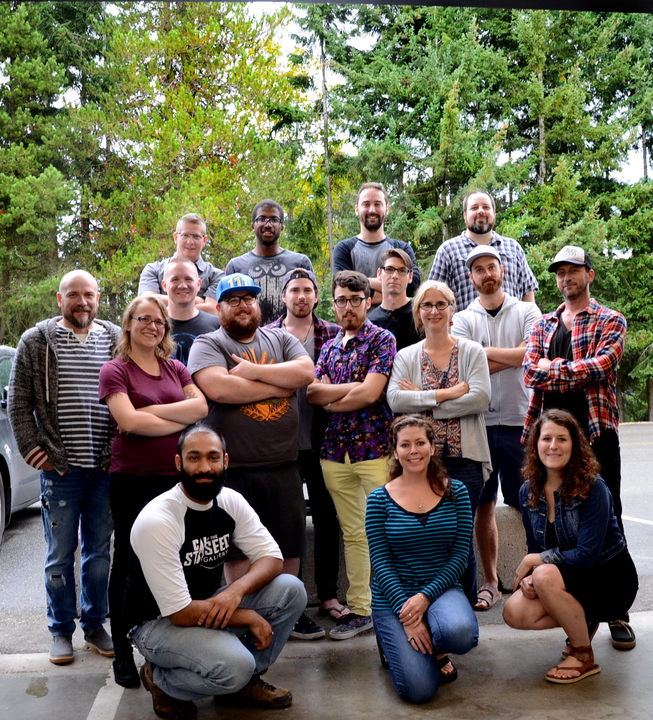 Cloudhead Games is a globally recognized, award winning virtual reality games developer, with headquarters located in Qualicum Beach, on Vancouver Island. We declared the first commercially announced ‘made-for-VR’ game in 2013 as part of a successful Kickstarter campaign. The first game in our episodic franchise, The Gallery, released as a launch title to the Vive in April 2016, to critical acclaim. It has earned over twenty awards and nominations, including Game of the Year, Best Technology, and Best Innovation. It was one of the first companies to reach one million dollars in sales in this emerging market. We have partnered with brands such as Intel, Alienware, Oculus, and Valve and HTC Vive (who included our game with their VR hardware bundle for nearly a year). The founders of Cloudhead Games, Denny and Tracey Unger, chose Qualicum Beach because it was (and is!) their home. It is a wonderful place to raise a family; there is a strong sense of community and plenty of activities. With access to the beaches and the mountains just a few minutes away, it can be difficult to stay indoors! Vancouver is quickly becoming a VR industry hub, and our Island location positions us very conveniently to take advantage of their industry without having to pay Vancouver prices. A growing number of other technology-minded businesses are also choosing the Mid-Island area, so we have been able to connect with local companies and individuals with similar goals. This location is also convenient for travel to Vancouver with Harbour Air located in Nanaimo and KD Air right here in Qualicum. Vancouver Island offers a balance between work and leisure time that we would be hard-pressed to find anywhere else!